The best teams in the FDJFL will battle it out for premiership glory tomorrow, Sunday 26 August, and here’s a great and inexpensive way to remember those battles for years to come. 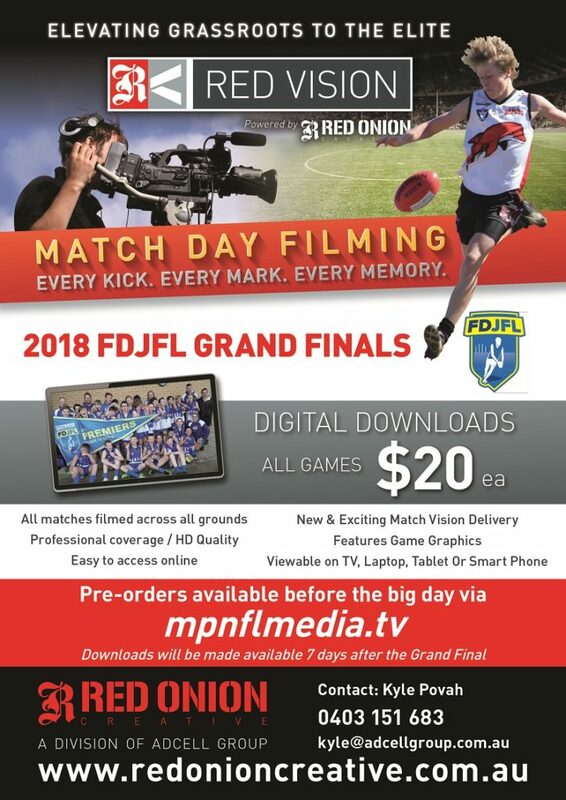 Our great partners at Red Onion will be filming every grand final at Lloyd Park Langwarrin, and Frankston Park, with the games available for purchase for just $20.00. Go to https://mpnflmedia.tv/ and hover over the Grand Finals tab to pre-purchase your piece of FDJFL history.